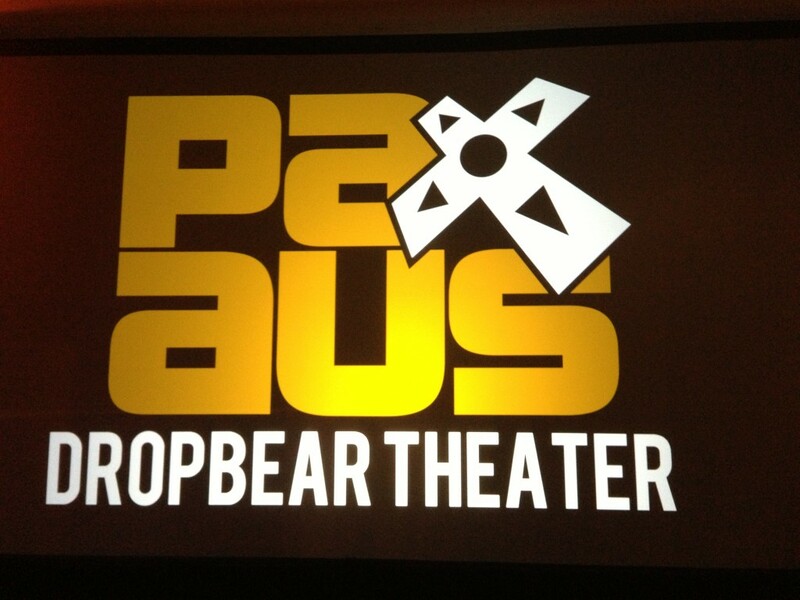 BioWare has taken part in Penny Arcade Expo (or PAX) events before. Whether it’s Boston PAX East or the Seattle PAX Prime conventions, BioWare enjoys the chance to get our staff and development teams out with our fans. This year marked the first ever PAX outside the United States, and we were excited to send a team down under to Melbourne to meet our Australian fans. BioWare sent a team made up of Cameron Lee (Dragon Age Producer), Patrick Weekes (Senior Writer), Karin Weekes (Lead Editor), and “Evil” Chris Priestly (Community Specialist) to the other side of the world to talk to fans that rarely get to see our game developers. 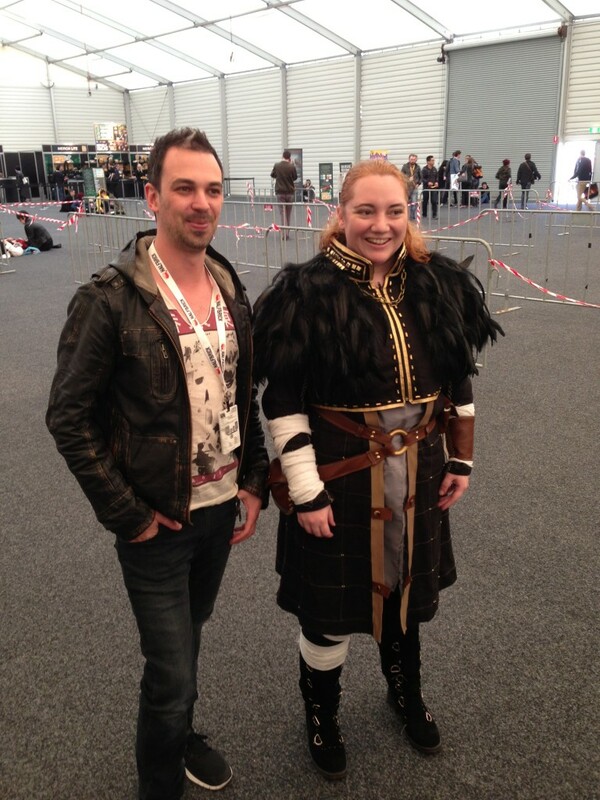 We spent the first day of PAX Australia scanning the convention hall for fans wearing BioWare clothing or cosplay to give them exclusive BioWare pins and to discuss our games with them. 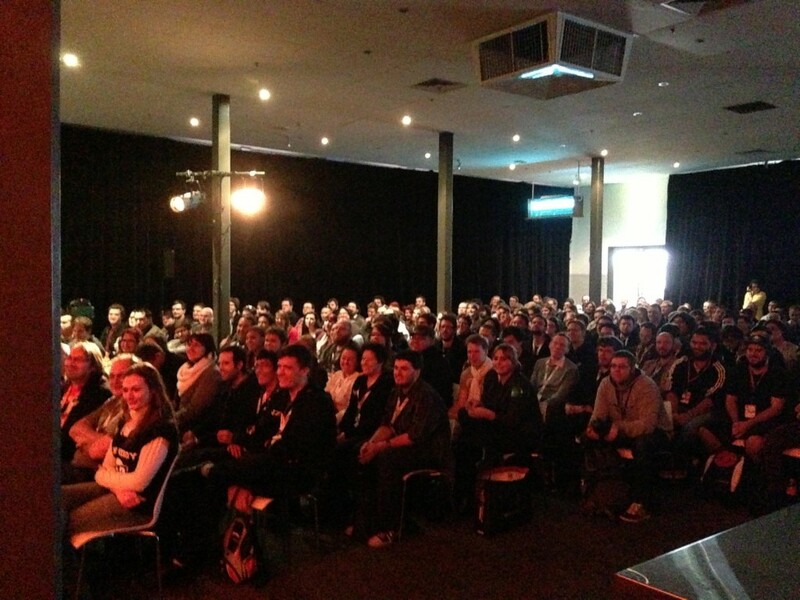 We held our panel on Friday afternoon in front of almost 300 fans who lined up for two hours! Our apologies to those who didn’t get in. We had a great time talking to everyone in attendance. While it was a little too early to reveal new information about Dragon Age: Inquisition, we did talk about the Mass Effect series and other past BioWare games. If you didn’t get to attend the panel, you can watch it here. That night, after getting trapped by a winter rainstorm, we hosted a gathering of 100 guests and Community VIPS. We had snacks, beverages, and a great time talking to our guests who all went home with a signed Mass Effect or Dragon Age lithograph. On Saturday we hit the convention floor again to find more fans and giving away our BioWare pins. It was a wet day, so it was great to see that many BioWare fans had made it out. The day was capped with Patrick & Karin taking part in a panel where they discussed why mainstream media portrayals of gamers matters. On Sunday, before heading back to PAX, Karin, Patrick, and Chris went to the Healesville Sanctuary to see Australian wildlife. They saw wombats, Tasmanian devils, koalas, platypussesses… platypi… more than one platypus, and a host of other indigenous animals. 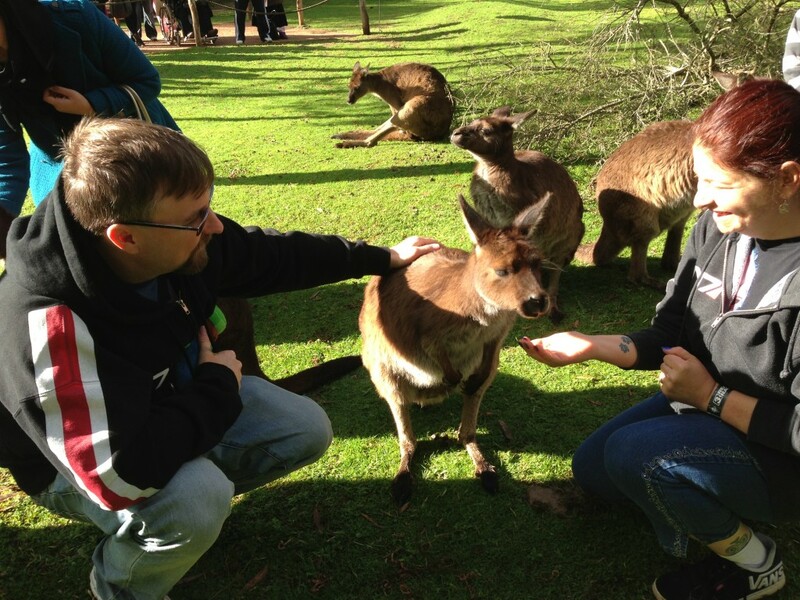 Here’s Patrick and Karin meeting a mob of kangaroos. The team returned to PAX where the enforcers kindly set up an autograph station for the team to meet fans and sign autographs. 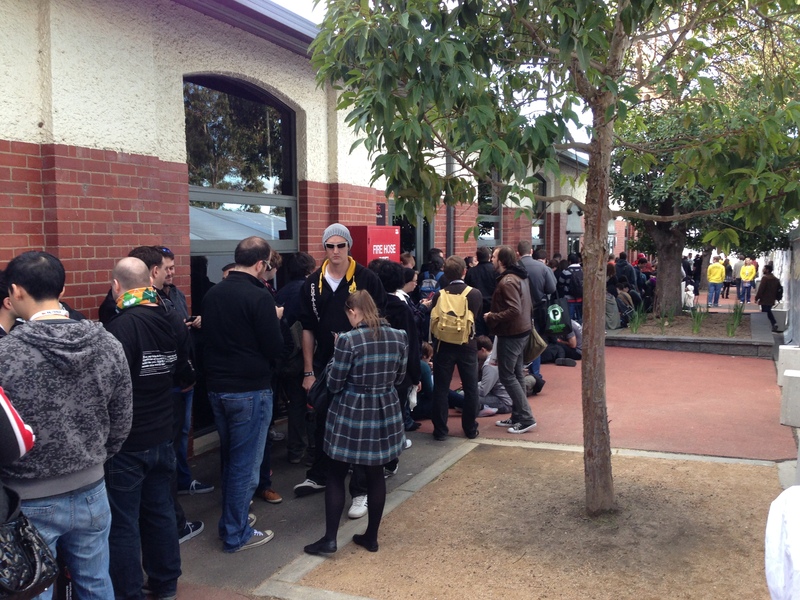 Spending face-to-face time with our fans was a great way to end our first visit to PAX Australia. A big thank you to all of our new friends who made us feel so welcome. We hope to see you all again soon. Too right!